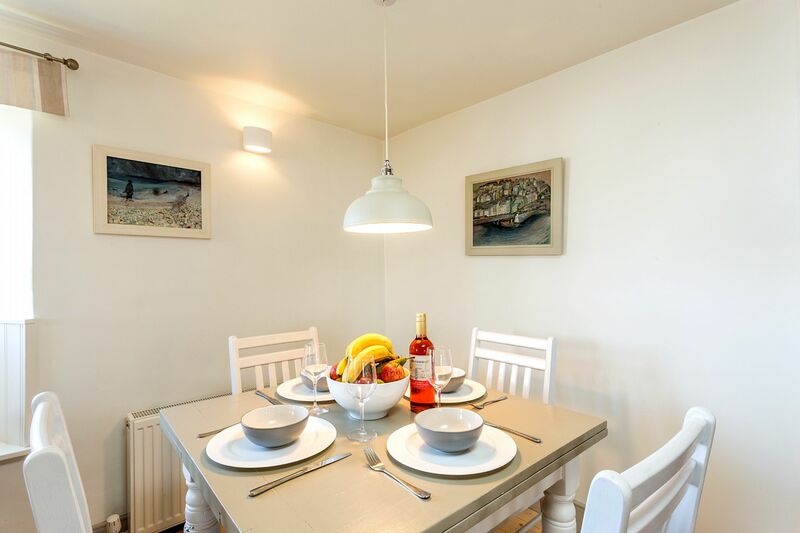 A great value former fisherman’s cottage in Brixham. 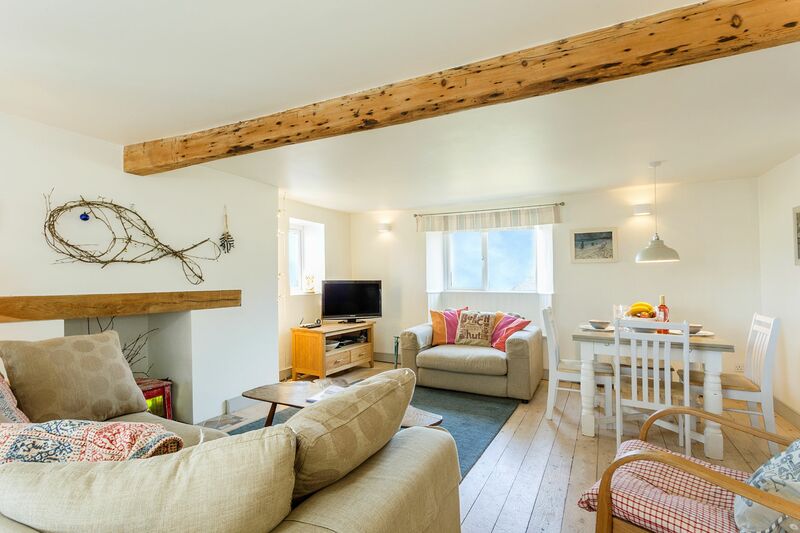 This former fisherman’s cottage has been renovated in a clean contemporary seaside style and enjoys an enviable location on Bay View Steps just above Brixham’s pretty inner harbour, convenient for all of the cafes, restaurants & shops around the harbour. The 1st photo in the set above was taken just 39 steps from your front door. The large lounge diner has windows to 3 aspects, 2 of them with sea views - so is very light & airy. Sundeck is decorated and furnished in a modern seaside style with quality sofas, lighting and fittings. 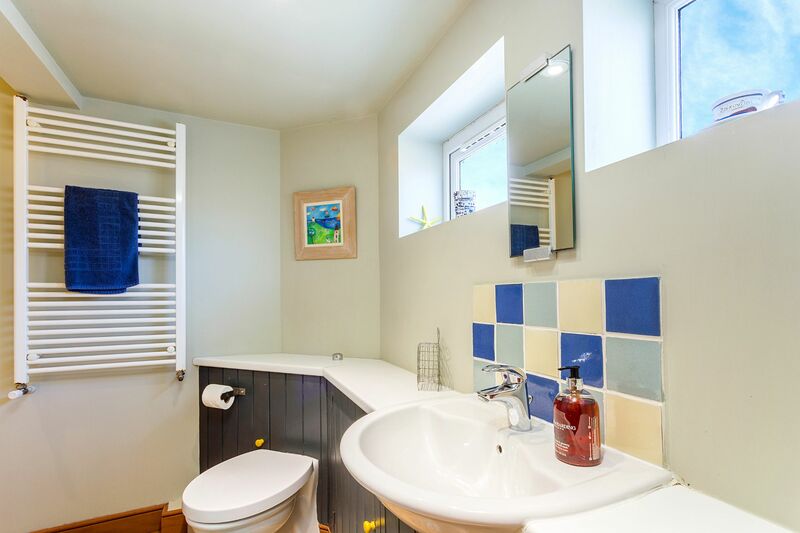 The fitted kitchen and 2 of the bedrooms (1 with sea views and en-suite w/c and with en-suite shower room) are also located on this floor, with the 3rd bedroom and family bathroom located on the floor below. There is a small outside terrace with a bistro table and chairs with views to the marina. 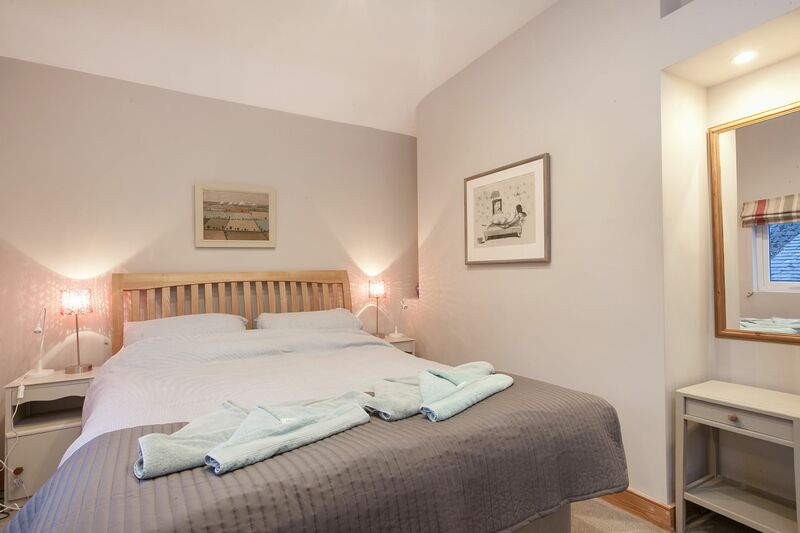 Quality bed linen, towels, Wi-Fi, electricity & heating are included in the price - there are no extras to pay. 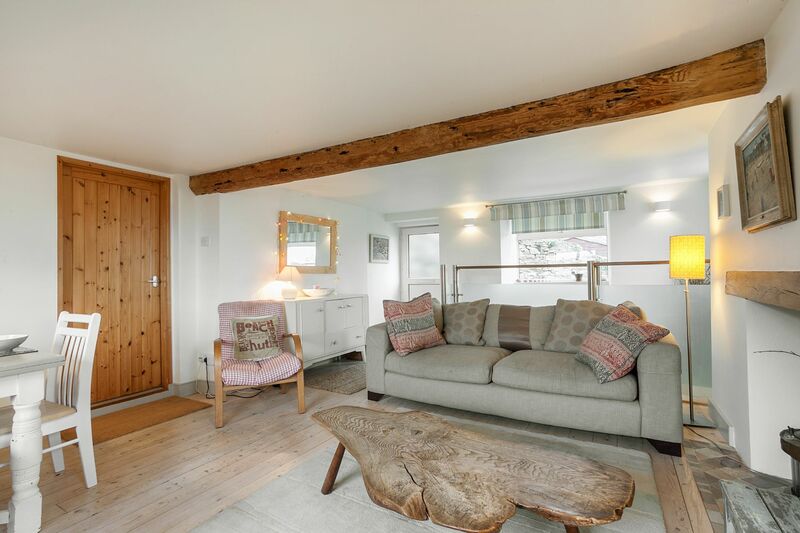 Short breaks from 2 nights are available with flexible arrival days. Parking - Torbay council no longer issue physical parking permits. If you wish, you can order a virtual permit online at a cost of approx. £35 per week. These permits are valid for all of the 32 council pay and display car parks in the wider Torbay area including the 4 in Brixham – very useful if you plan to travel around the area. Full details and a web link will be sent with your arrival information approx. 6 weeks before your holiday begins. 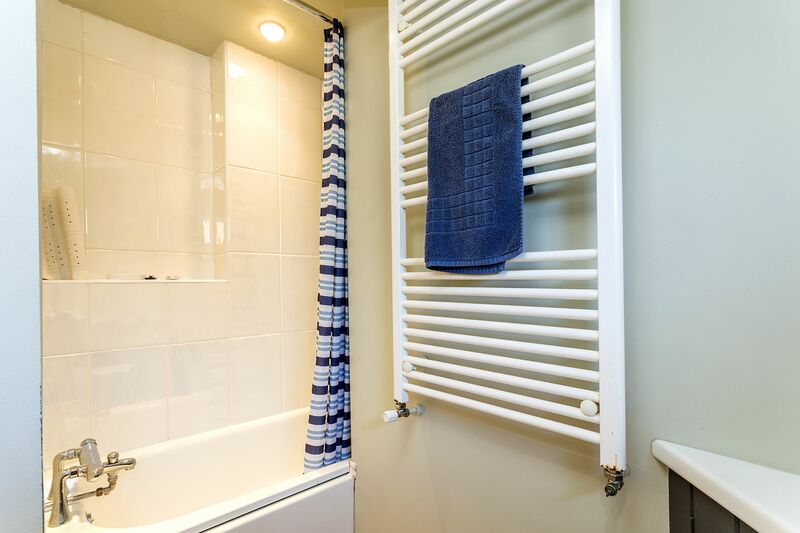 The nearest is approx 7 min walk away from Sundeck. 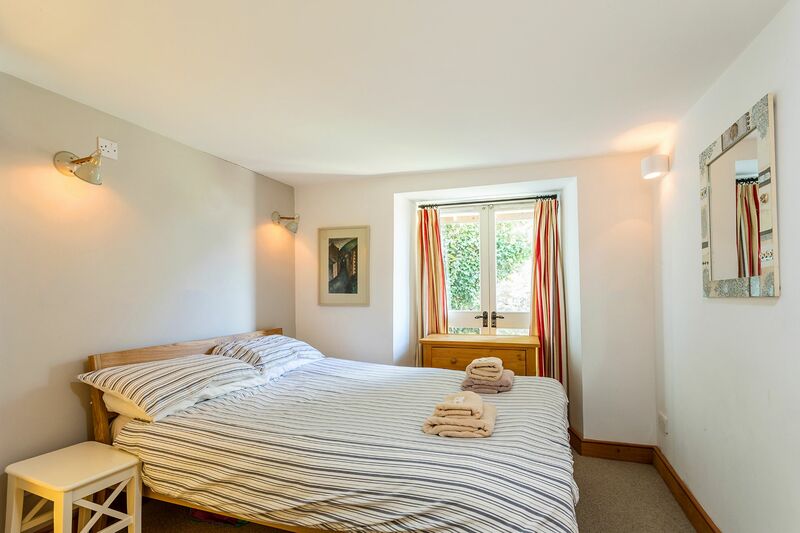 Available for short breaks most of the year except the 5 summer school holiday weeks. Sundeck is situated on Bay View Steps - there are 39 steep steps to reach the property, so it is unsuitable for anyone with mobility issues. 39 steps up from King Street to a small terrace & entrance door. Large lounge and dining area with triple aspect windows - 2 with sea views. 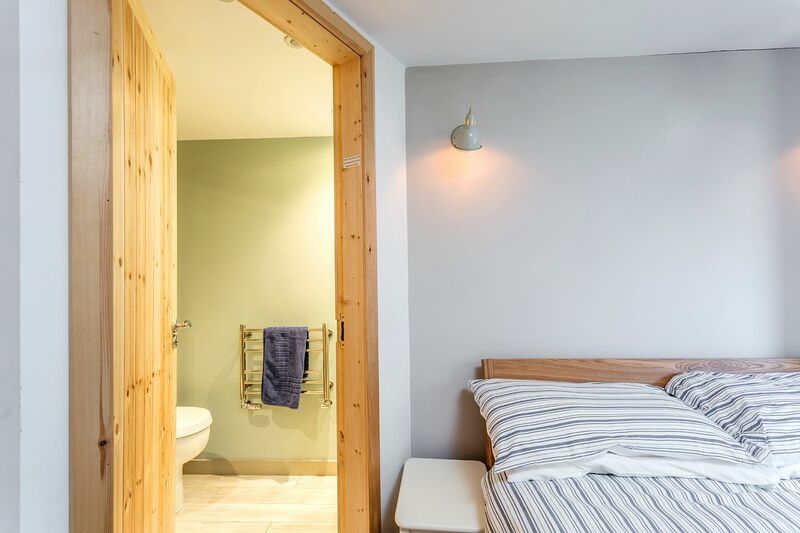 Bedroom 1 - with en-suite shower room. Had a really lovely stay with my family at Sundeck. It's really tastefully decorated with comfy sofa's in the lounge area. It was an added bonus having 3 bathrooms between 5 of us of which 2 were en suite. 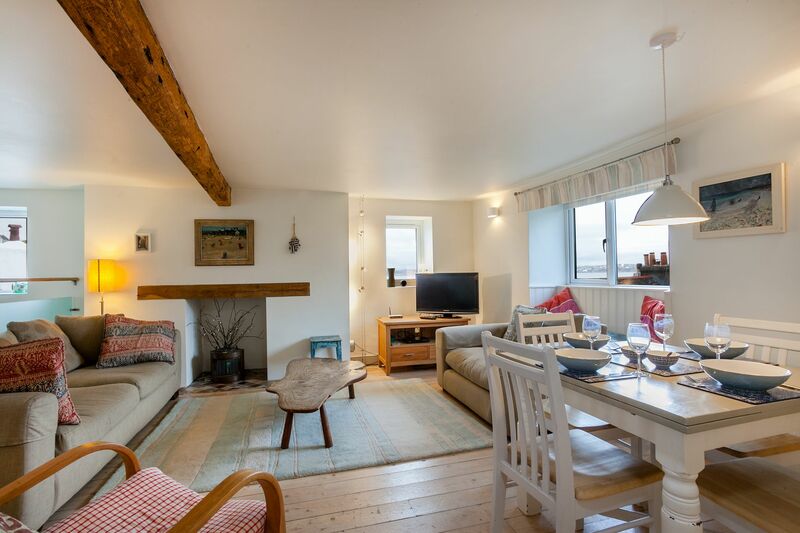 Lovely Light and airy maisonette with views of the sea and a sweet little veranda area outside to sit on warmer days. 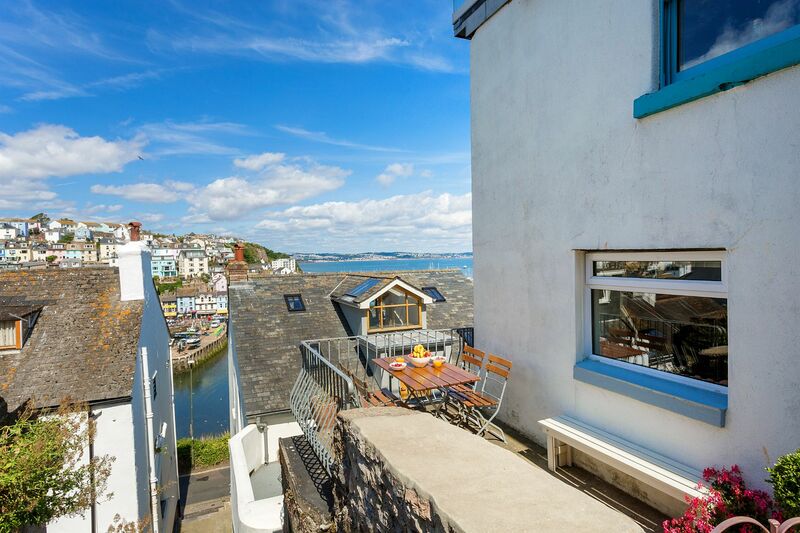 Located near to the Harbour and shops although some steep steps to climb but nothing unmanageable and to be fair Brixham is built on hills anyway so its hard to get away from it! The kitchen is fairly small but has everything you need to cook with and it even had a dishwasher. I can't recommend this place enough - it was quite a find and I will definitely be coming back. This is our second stay at Sundeck and it was fantastic again. 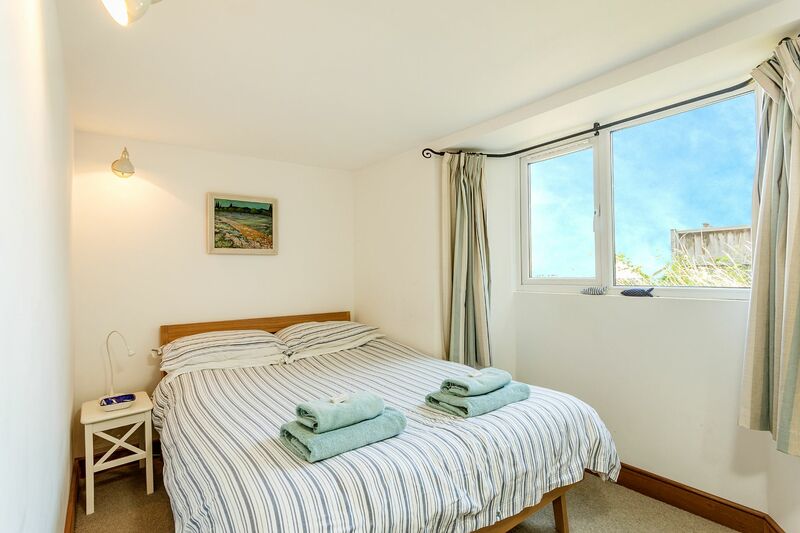 It's the perfect location for exploring Brixham and the apartment is very spacious and clean. 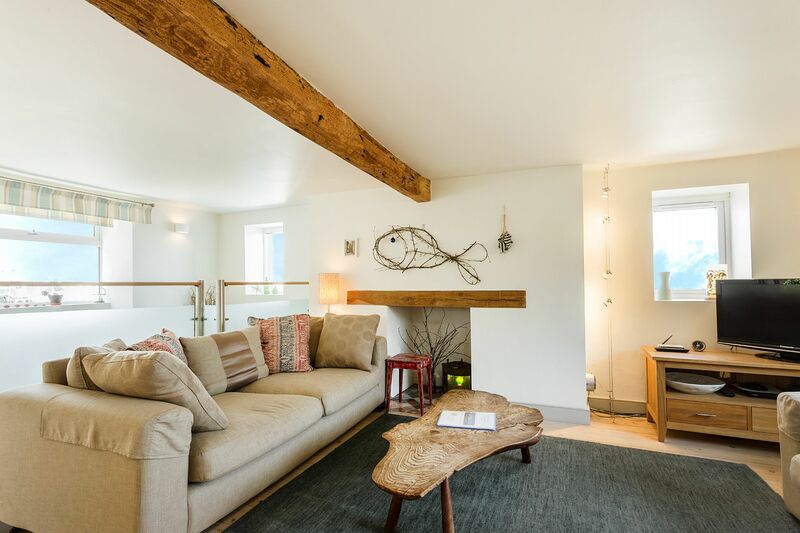 Sundeck is a fantastic apartment (although more like a cottage as it is on two floors) with lovely views, great decor and the comfiest sofa ever! It was so good, we nearly stayed for an extra night! It is located brilliantly (although, on some steep steps, so won't be great for those with limited mobility - however, the walks up and down the steps helped us burn the calories from all the great local food) - it's really close to the town centre as well as just a short walk to the Breakwater and Harbour. 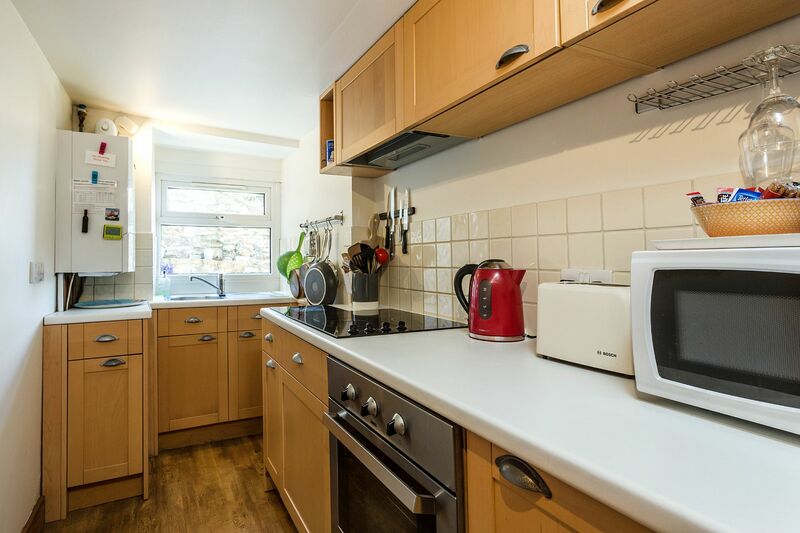 The kitchen is small but well-stocked with pretty much everything you need and crockery etc are of a really good quality as is bedding, towels etc. The master bedroom bed is also extremely comfortable! And best of all, it is blissfully quiet. As ours was a winter stay, we didn't get much of a chance to enjoy the eponymous sundeck of Sundeck, but we did have the joy of seeing in New Year out there while watching the fireworks over the bay as it turned midnight. Really first rate apartment. Fab location and our every need was catered for - will return! I have been coming to the English Riviera since I was a young child (many years ago!) and whilst I know Brixham very well I have never actually stayed there. Sundeck was in the perfect location, in walking distance from everywhere we wanted to go. The apartment was beautifully decorated and equipped with everything we needed. 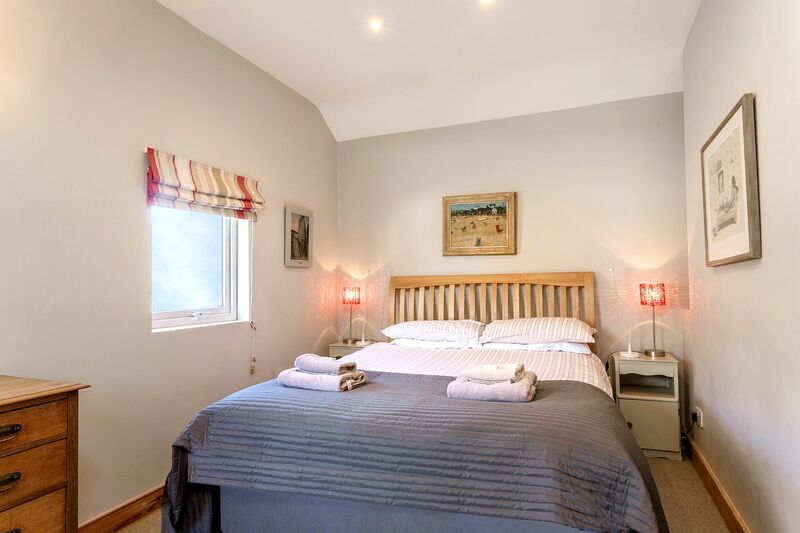 The only very small issue was the comfort of the two upstairs beds - both mattresses were a little hard, but I think we find this with everywhere we go, after all, there is nothing like your own bed! 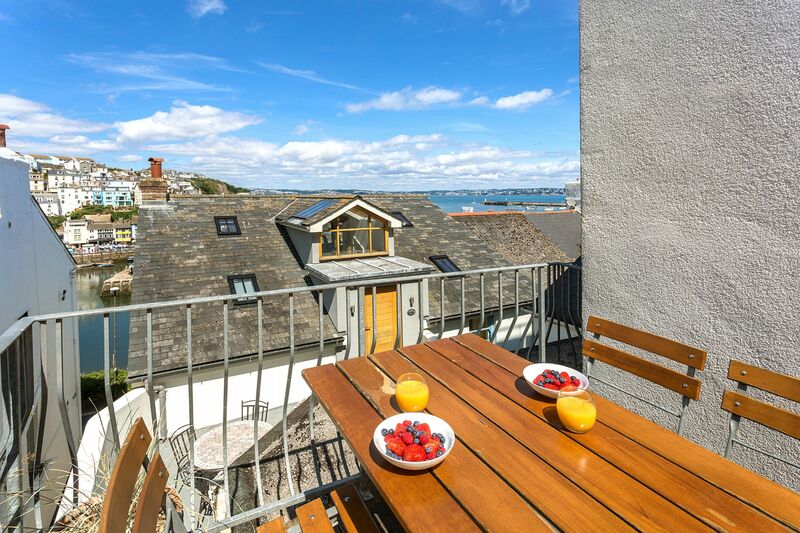 I also feel that compared with other properties in the vicinity, Sundeck was a little pricey, but I understand it was high season and due to it's location and the presentation of the property, it wasn't going to be cheap to stay there. To be fair, it was worth the additional expense to experience Sundeck and the customer service we received on the several occasions I contacted Steve, was excellent. One last point I'd like to make is that whilst it was very useful to have the parking permit, the property does cater for 6 people. Our party travelled down in two cars and therefore an additional permit would have been nice to save my brother from having to pay to park his car. All in all, we had a brilliant stay at Sundeck and will be looking to return again next year. Many thanks. Overall we had a lovely week. However there were a few disappointments with Sundeck: No guest information folder. No CD player or radio. No bottle opener and poor quality equipment in kitchen. No facility for recycling so had to landfill all glass etc. Only 4 dining room chairs when property is supposed to be for 6 people. Despite this we did some fantastic trips and Brixham is a great place to explore. 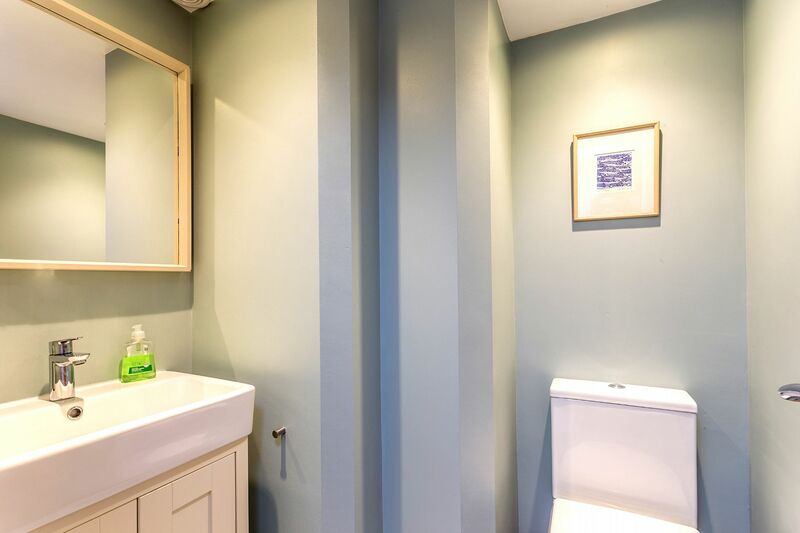 Located halfway up on Bay View Steps, central location - just a 2 minute walk to the harbour and town. NOTE there are 39 steep steps up to this property.